We can provide cables, (terminated or not) that conform to the ISO standard CiA-DS102 as well as opto-isolation and converters to TJA1054. 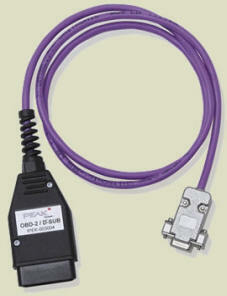 CAN Connection Cable 2.0 m, 9-pin Sub-D female plug on both ends, without terminating resistors. T-Adapter for tapping into CAN networks, 9-pin Sub-D female plug to 9-pin Sub-D female and 9-pin Sub-D male, without terminating resistors. 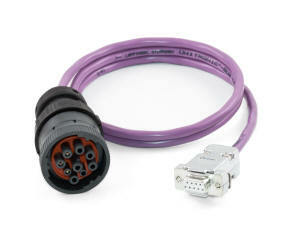 A 1M cable without termination resistors. 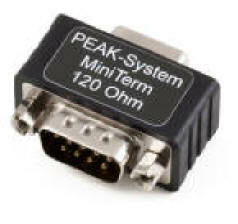 It converts the 9-pin Sub-D socket (to CiA DS102-1) to the J1939 9 pin DEUTSCH HD series connector (not an ISO standard but becoming the most popular). CAN Termination Adapter, 9-pin Sub-D male plug, terminated with a 120 Ohm resistor. 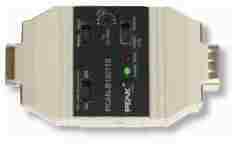 The PCAN-Optoadaptor provides a galvanic separation on a CAN-bus system of up to 500V. It is enclosed in a small 9-pole to 9-pole housing. 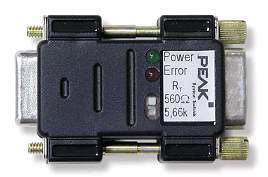 Please note that the following adapters / converters only change the signals to match the voltage/current requirements of the different standards you will still have to run both sides at the lower of the two speeds. TJA1054 Converts interfaces with buffers capable of running high speed CAN to the low speed, low power TJA 1054 standard with PCA82C252, TJA1053 or TJA1054 transceivers. 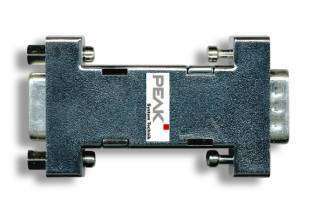 The TJA1054 Low Speed transceiver always runs in normal operating mode. It cannot be switched to Sleep mode or Standby mode. AU5790 Converts interfaces with buffers capable of running high speed CAN to connect with systems using the AU5790 transceiver. For details of our software FMS Toolkit used to read or simulate an FMS system follow this link.